Unicorn youngster Harry Ward has enjoyed the best day of his career to secure a prized PDC Tour Card. 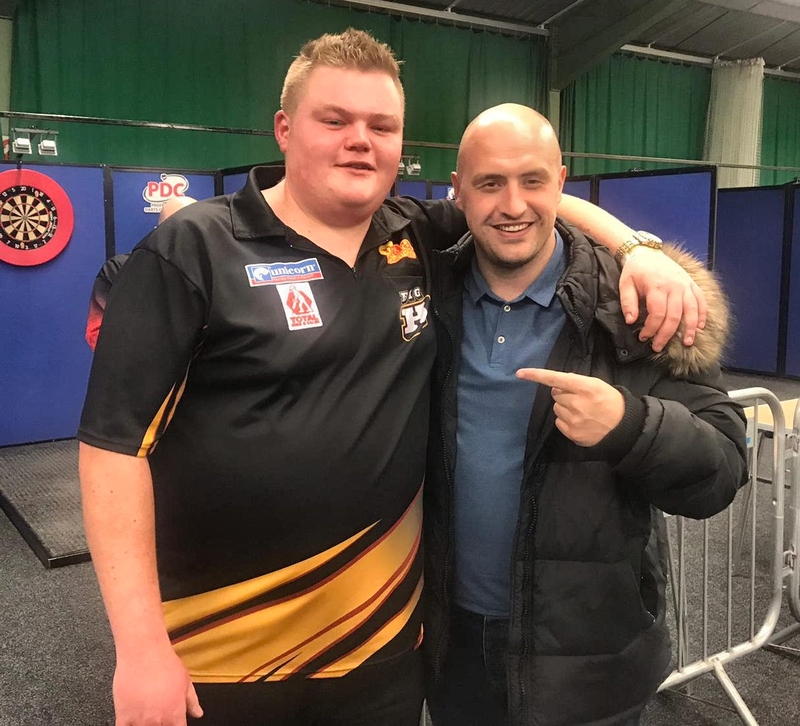 On the opening day at Q School in Wigan, the 21-year-old from Derbyshire came through a field of nearly 400 to become the first man to win a coveted two-year PDC Tour Card. Ward won an all Unicorn showdown with Mark McGeeney 5-2, averaging 103 in the process, in the final match to qualify. ‘Big H’ was on the money when it mattered all day at Robin Park in Wigan on Thursday where play was also interrupted by a fire alarm! But the young Team Unicorn ace kept his cool. After wins over Brian Doran, Ricky King and Dyson Parody, he then beat Lakeside semi-finalist Jim Williams before convincing victories over James Kempster and Richie Howson. Then came that brilliant performance to pip McGeeney. “It is an incredible achievement for me,” Ward said. The win also earns Ward a place at the UK Open in a few weeks time. McGeeney twice had shots at a 9 darter on Thursday and his superb run means he is in a terrific position to win a Tour Card at the weekend. Eight players will win cards over the four days plus 11 more through the Q School Order of Merit. McGeeney averaged over 100 in three of his first four games and came from 1-4 down to beat Andy Boulton 5-4 in the quarter-finals. Jamie Hughes was the other player to win a Tour Card on day one at Q School. He averaged 110, 109 and 108 en route to that final qualifying game where he beat Kirk Shepherd 5-1.